I had a wonderful conversation with the latest reader of People Artistry at Work. He just retired this year as the Assistant Superintendent of a very large school division. He believed the book was a fine leadership book and that it summed up his approach to successful leadership. He stated, “it is amazing what we can accomplish and achieve together when we recognize and value people even if they initially lack skills.” Through our people artistry we empower, we build capacity and as leaders we never lose sight of the fact that we are only as good as the people we lead. We need to recognize all employees so they recognize their own strengths, gifts, challenges, and contributions. 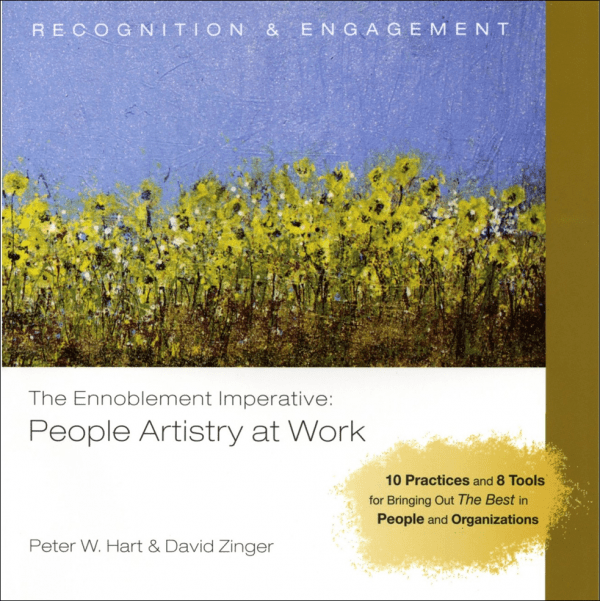 To learn more about this $10 book or to order people artistry for all you leaders visit: www.peopleartistry.com.